Plenty of students start or go back to school because they are looking for a meaningful future career. As you probably know, careers in healthcare are frequently ranked as some of the most emotionally satisfying, deeply meaningful employment choices. 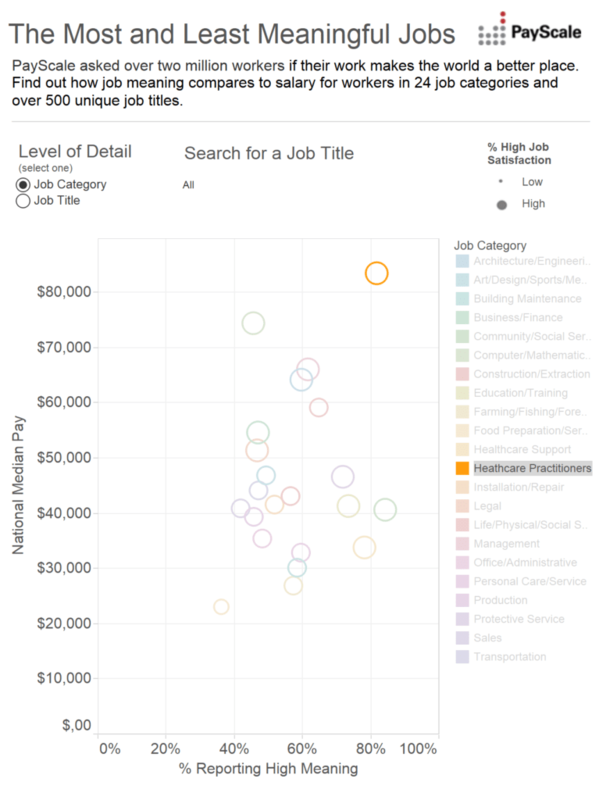 According to this chart from Payscale.com, healthcare practitioners find their work extremely meaningful. If you’re interested in a career that brings you that kind of satisfaction, becoming an LPN might be a great career path for you! As South College, we believe that professional nursing is an art and a science with caring as the core concept. The role of the Licensed Practical Nurse is to facilitate the optimal independent functioning of persons through the promotion, maintenance, and restoration of health. Basically, you’re helping people feel their best again! Is Becoming an LPN a Good Choice for Me? In addition, nurses are called upon to be kind, compassionate, and supportive in stressful situations. While it can be hectic, these challenges are part of what makes being an LPN so rewarding. After all, if it was easy, everyone would do it! You could earn your Licensed Practical Nursing (LPN) Certificate in as little as 12 months at South College. If you’re ready to make a difference in people’s lives with a highly-satisfying career, enroll today!